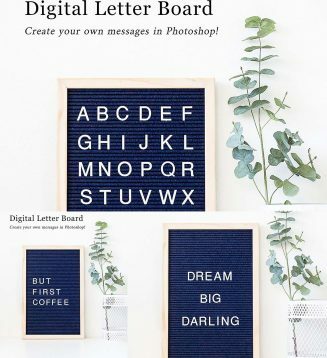 Create your own messages with this digital letter board! Each letter is created as a layer in photoshop so you can simply move them to create your own words! 2 Samples are included: “But First Coffee” and “Dream Big Darling”. Tags: blog template, blogger, digital letter, digital letter board, digital letterboard, letter board template, letterboard, mockup.